1,000,000 extra spins are up for grabs! Five years is not really that long but it certainly seems like an eternity in the fast growing world of online gaming. One of the most epic Netent creations has just turned five and that will be celebrated in style at Betsson Casino. A huge 1 Million free spins on Twin Spin are up for grabs in a prize draw with 20,000 bundles of 50 free spins. Earn your tickets by wagering on the birthday game. Little did Netent know in 2013 when they released an apparently simple 5-reel slot with synching reels that it would advance to one of the most played online game. Betsson is giving away in a prize draw 1 Million free spins on the epic Netent slot Twin Spin to celebrate its 5th birthday. Earn one ticket to the raffle for every €20 wagered on Twin Spin, with no limit to the amount of tickets per day or player. However, there will be only one prize per player. 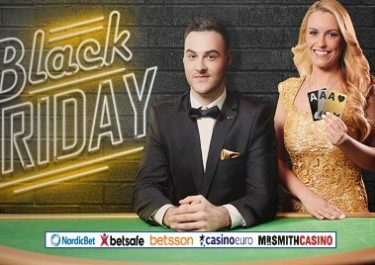 On 9th November 2018, Betsson will randomly select 20,000 tickets from all eligible entries, each winning a bundle of 50 free spins on Twin Spin at €0.25 per spin. Winners will be announced and prizes credited on 12th November 2018. All winnings from the free spins are subject to wagering requirements according to the Betsson bonus terms and conditions.